As with any decision, the process of adopting a new software application can be long and arduous, filled with tough choices. 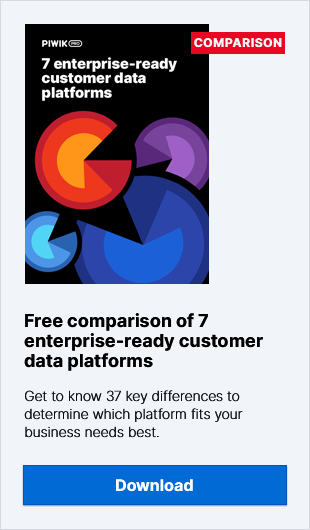 The same goes for a choosing a data-management platform (DMP). Today we explore one of the most fundamental choices between using a self-hosted or SaaS-based model. Both options offer pluses and minuses — vendor lock-in, data privacy, customization possibilities, time to benefit, to name just a few. A Data-Management Platform (DMP) is an application for advertisers and marketers who want to personalize and optimize their ad campaigns and website content. Generally speaking, it combines data taken from a variety of sources, creates audience segments, and integrates a range of programmatic media-buying and -selling tools such as ad exchanges, demand-side platforms (DSP), and supply-side platforms (SSP). Software-as-a-Service (SaaS), also known as cloud computing, offers users access to applications over the internet without requiring the software to be physically installed on a user’s infrastructure. Users get immediate access to the application and generally pay a monthly or yearly fee instead of buying a program up front. The vast majority of SaaS applications are offered in a public-cloud environment, meaning the software is hosted on the vendor’s servers and made available to all users equally. The term self-hosted may be used to indicate applications physically installed on in-house servers and infrastructure. However, it may also mean an application is hosted in a private or hybrid cloud controlled by the company. One of the main pluses of SaaS applications and a big selling point, especially for small- and medium-sized businesses, has always been that the entire burden of technical support (including updates and bug fixes) is on the vendor, as opposed to a self-hosted platform where the burden falls more on the DMP user. Relying on the vendor to take care of everything, however, has its minuses too. First there is the issue of technical support. Even though SaaS vendors may offer a Service Level Agreement (SLA) for technical issues, they are often geared towards their entire client base and don’t take into consideration the wide range of client needs. For some this just isn’t enough since it doesn’t take into consideration their individual usage of the platform, and yet, because they are locked into a vendor, there are limited options for fixing the problem themselves. Besides that, there is the question of data ownership — who really has control of the data used in the DMP? In business, it is a general best practice to keep multiple copies of critical information, meaning, ideally, a company would want to have its audience data stored somewhere in-house. When locked into a SaaS vendor, this may or may not be possible, and what happens if you want to change to a different DMP? Even if a vendor would theoretically let you transfer your data after you cease to be its customer, there would remain the issue of logistics connected with transferring such complex sets of data from one third-party vendor to another. Very often, different vendors use different data formats, which would make translating data sets from one form to another nearly impossible. The issue of data ownership and vendor lock-in brings us to data privacy. Most DMP users find the greatest value when integrating their first-party data, as it offers the greatest possibilities for personalizing their advertising and marketing efforts. Putting this information entirely into the hands of a third-party vendor can be risky, especially as some organizations (government entities, healthcare, and finance, for instance) may be legally forbidden from using third-party vendors when they process Personal Data. But without first-party data, the value of a DMP drops dramatically. Using a self-hosted DMP that keeps all your data within easy reach makes it possible to take full advantage of your most valuable “tool” for personalization. Another consideration involves your customers/site visitors even more directly. Because new privacy regulations stipulate that consumers and web users have the “right to be forgotten”, it becomes necessary to provide a means for effective data deletion. This is not an area you necessarily have complete control over when you use a SaaS DMP. For one thing, you have to be absolutely clear how and where audience data is stored so that it can be effectively deleted if need be. Privacy regulations put the onus of proving to consumers that their data has been removed, hence your relationship with a cloud-based DMP vendor could get tricky real fast if you don’t trust them completely. And that’s before we even begin to talk about changing vendors, which could get to be a real mess if customers ask to be forgotten five years after you’ve switched to another DMP. Another area to consider when looking at the hosting model of a DMP is customization. While data-management solutions are generally designed to be used for the advertising and marketing industries, this fact doesn’t put them in the same category as other “off-the-shelf” applications used for business purposes. Different brands have different needs and often use different well-entrenched legacy systems. Some may need more complex solutions from their data-management system, others may only require a few core features. So which model — SaaS or self-hosted — makes it easier to customize a DMP? Theoretically, a DMP from a large SaaS vendor can be customized to a certain degree through a vendor-controlled marketplace for add-ons or plugins, but this is limited to a small number of SaaS DMPs. In general, it is in a vendor’s interest to provide a product that includes a wide range of features in order to attract the largest possible number of customers. Unfortunately, this has the potential to provide a less-than-optimal user experience. With a self-hosted tool, customization is more of a focus. Businesses who want more control over their data will also be interested in more control over the features their DMP has, and will be better able to optimize specific processes on a case-by-case basis. Being able to do this can also improve the overall platform performance. While customizing and installing a platform on internal infrastructure may take more time and requires the development services of the vendor’s team, the cost and time spent may not necessarily be prohibitive when considering the overall business value of the tool. Bigger brands looking to build out their in-house technical systems for content personalization or custom, data-driven programmatic tools (such as a custom RTB bidder) will find that the close integration with their other internal systems is a great advantage. A DMP hosted in a private cloud has the advantage that customization can be ongoing, with additional features and tweaks being pushed from the vendor to the client (and to all the client’s team members) over the cloud system. So, if you are looking for a DMP that meets a very specific set of requirements, you are better off looking at a self-hosted model. Obviously, when you go to implement a powerful tool such as a data-management platform, you will want to start using it and seeing results as soon as possible. Here, a SaaS-based model holds the advantage. Much like consumer-oriented cloud applications (think Evernote, Dropbox) there is no up-front delay while software is installed, checked and, if need be, fixed. After signing up, an app user can pretty much get started using the application right away. The one caveat to this is that because a DMP from a large vendor will most likely come with a plethora of features, it may actually take some time before your marketing team fully understands how to use it. Depending on your specific goals and the scale of your business, you may be forced to wade through a workflow that is more complicated than if you used an self-hosted application, customized for your needs.